Phentex yarn has to be the worst yarn I have ever had the not-so-great pleasure of working with -- thankfully, I didn't too much, but my mother did. 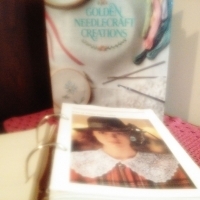 It was fun, flipping through the pages of these two binders -- again. Many ya- many more nay! 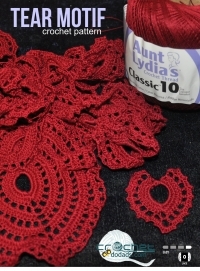 A free tear motif pattern. 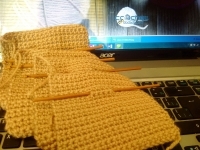 Let the creativity begin! 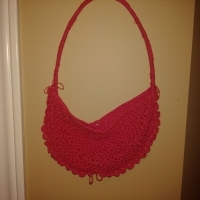 Thinking I would be rich by selling crochet patterns. Oh, to be so young and naive at the time. 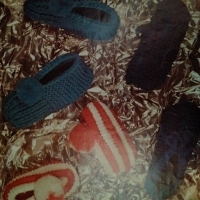 This pattern book, was published in 1991 by Leisure Arts. 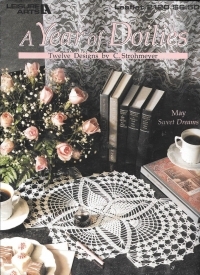 Leaflet #2120 A Year of Doilies by C. Strohmeyer, offers 12 designs, one for each month of the year. 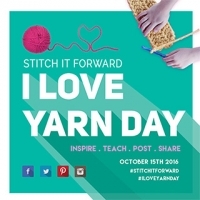 The sixth annual I LOVE YARN DAY will take place Saturday, October 15th and to celebrate the yarn industry will come together for another year of “stitching it forward” and spreading the love of yarn world-wide. 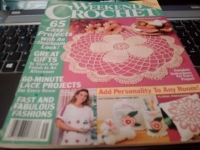 Weekend Crochet 1994 features 65 easy projects with an heirloom look. 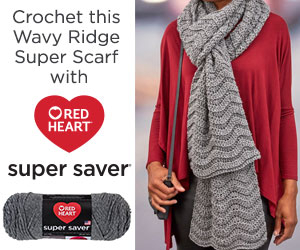 Toys, sweaters, afghans, and lace. 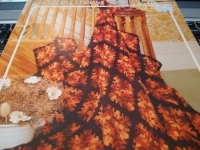 Since it is Labour Day weekend, which to me signifies the start of comfy, sweater weather, big pots of chili and cozy nights in front of the fire -- this fall coloured afghan is just perfect. 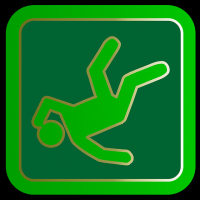 I recommend, always following the gauge on the pattern itself. 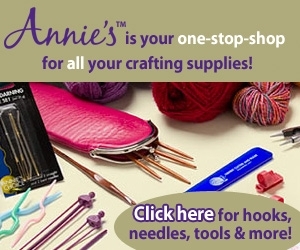 The gauge may be different than the yarn manufacturers' recommended gauge and hook requirements.